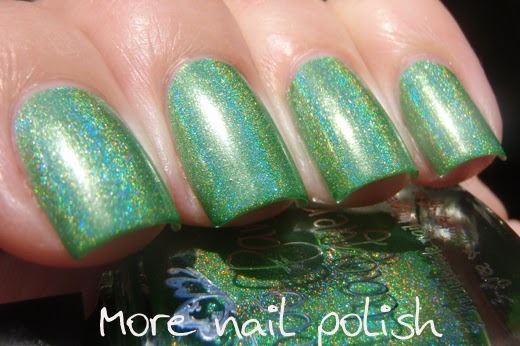 I have some beautiful holos to share with you tonight from Hong Kong based indie brand Too Fancy Lacquer. 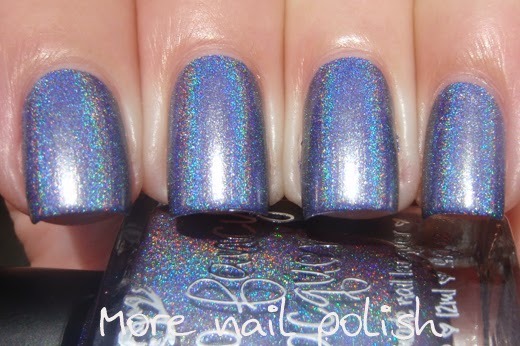 Their new Winter Sonata collection contains six holo polishes, and I have four of them to show you tonight. All my photos of these are taken in full natural sunlight and show the polishes with no top coat. They were all fast drying and high shine on their own. Chocolate Gold is a golden brown linear holo. The opacity on this one is superb, it's nearly a one coater and I bet it would be fantastic for stamping too. This is such a gorgeous shade of light coffee brown, with a metallic golden sheen. This is two coats on it's own. 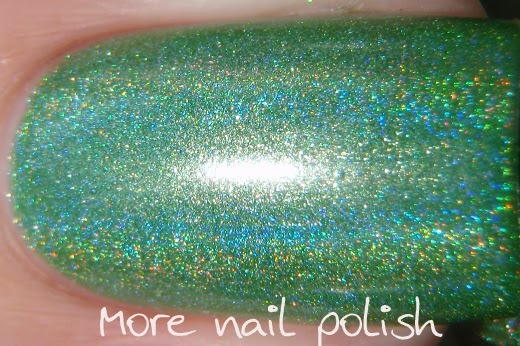 Expect to see a bit more of this polish on my blog! 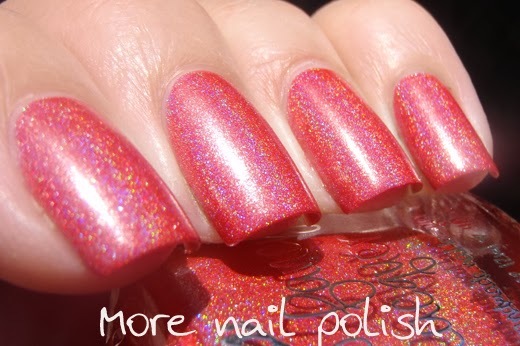 Holly - a pinky red linear holo. Indoors this looks more red, but in the direct sun it brings out the pink tones a bit stronger. 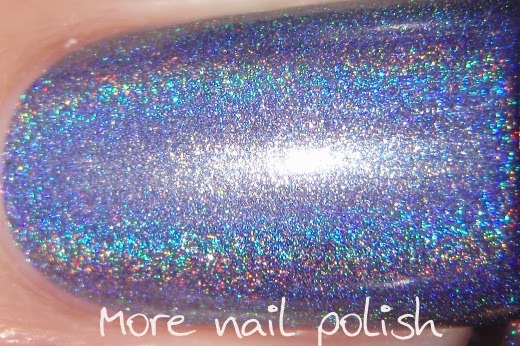 There is also a strong metallic sheen to this that reflects the light and shows off the holo fire perfectly. This is two coats on it's own. Midnight Sonata - a dusty cornflower blue linear holo. It really reminds me of 2NITE from the China Glaze OMG collection, which is probably my favourite polish from that collection. If I did a side by side comparison it's probably not the same, but I love the dusty purplely blue vibe that this one gives me. It's one of those shades that sometimes it looks more purple and other times it looks more blue. I can't wait to try stamping with this one. This is two coats on it's own. 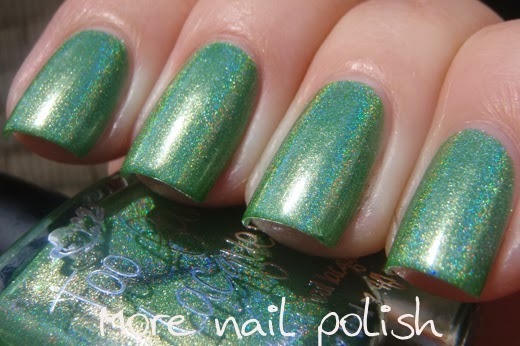 Mistletoe - a medium green linear holo. It reminds me of Nubar Reclaim, but this is a shade or two lighter. 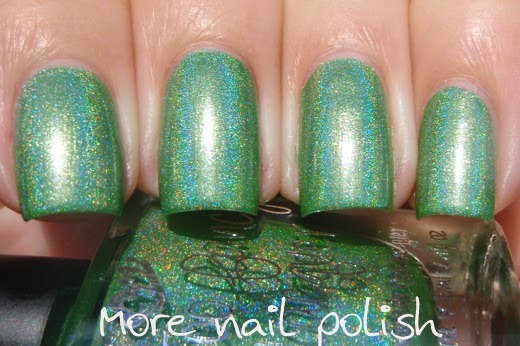 Another gorgeous polish from this collection. This is two coats on it's own. These polishes form such a cohesive and matching combo for a collection. The other two polishes in the collection are Silent Night, which is a Charcoal grey holo and Champagne Cocktail, a champagne gold holo with a pink flash. 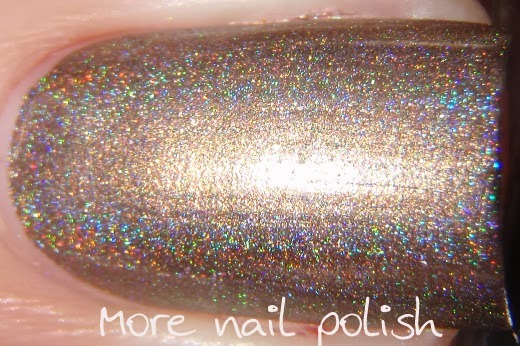 I think I'm gonna have to get that gold holo, cause everyone knows I certainly don't have enough gold polishes! I love that all these are nearly one coaters (although I did two coats for all these swatches). 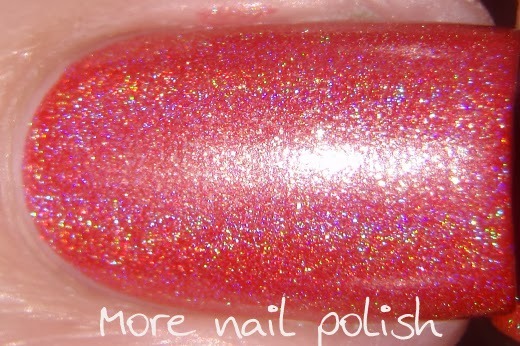 I also love that whilst they are very opaque, that doesn't take away from the holo flame. These polishes are just about to be restocked and will be available from the Too Fancy Lacquer online store. They are just awaiting the delivery of some more bottles and they anticipate the restock happening on Monday. If you want to know the details you should check the Too Fancy Lacquer facebook page.